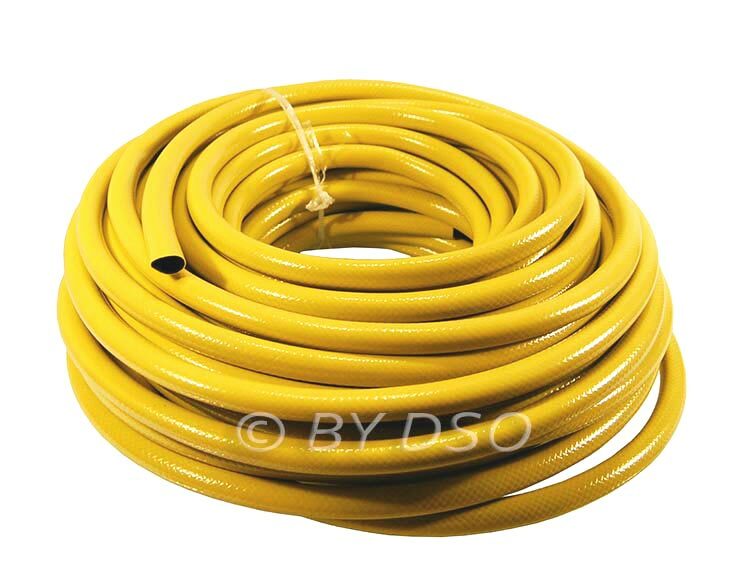 Perfect for the back garden, this professional hose has 3 Layers of reinforced PVC with extra braid and tough yellow kink resistant outer. for excellent Durability In all weather. This is ideal For extending an existing hose or even just to use on its own. Ideal for use in the garden or workshop. The Possibilities are endless. Size : 30 Meters Approx.